The Renault Twizy is an electric city car that retails for less than $10k and has a power output starting as low as 4 kilowatts (5 horsepower) and topping out at about 13 kilowatts (17 horsepower). 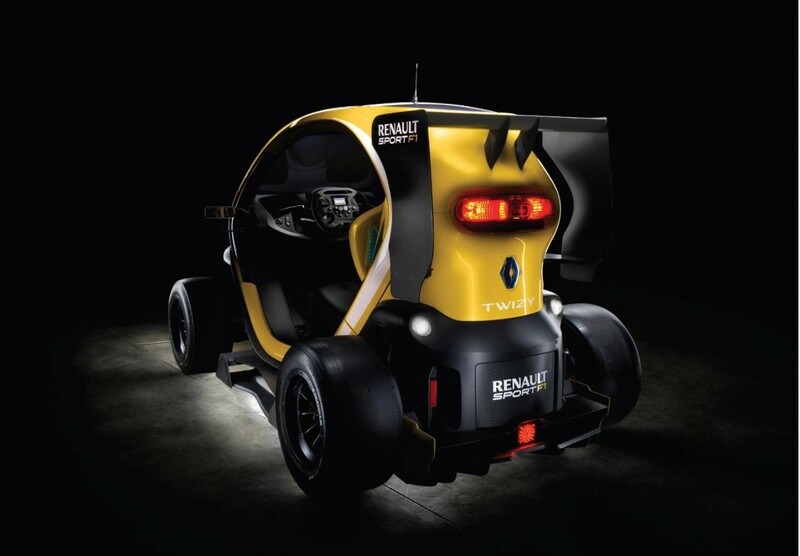 It’s not exactly the type of vehicle you’d use to highlight the link between the world of Formula One and that of production cars, but that hasn’t stopped Renault, an engine supplier to top F1 teams including Red Bull Racing, from rolling out a new F1-inspired Twizy concept. The concept was built by Renault together with its motorsport division, Renault Sport, and its F1 division, Renault Sport F1. It features a number of technologies lifted directly from an F1 race car, including its F1-spec wheels and tires; new front splitter, side-pods, diffuser and wing made of F1-grade carbon fiber; and even a power-boosting Kinetic Energy Recovery System (KERS). 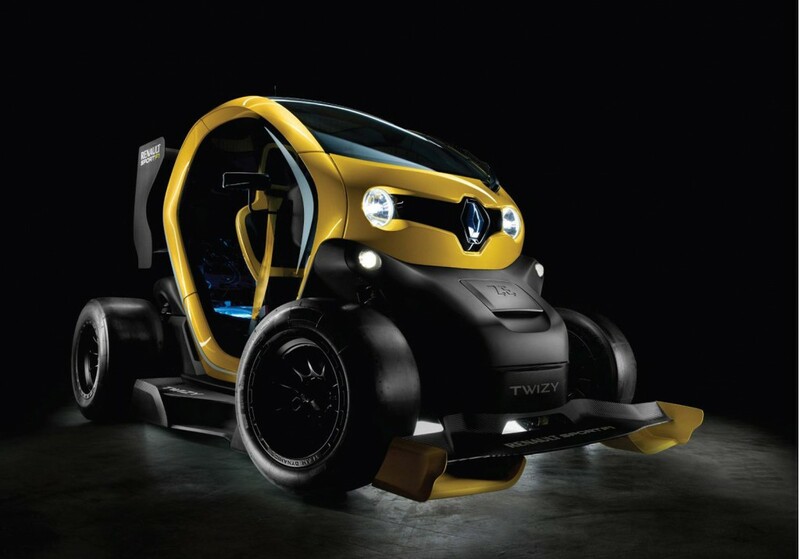 Last but not least, the concept is equipped with an F1-type steering wheel from the Renault Sport catalogue. The KERS is identical to that used in F1 and boosts power output six-fold to reach almost 100 horsepower and is capable of catapulting the car from standstill to 62 mph as quickly as Renault’s highest-performing road car, Megane Renaultsport 265. It is contained within a clear box situated behind the seats. 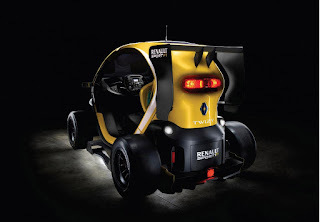 At this point, you may be wondering why Renault would choose its diminutive Twizy to display its F1 expertise. According to the automaker, even a vehicle as far removed from the world of F1 as the Twizy can benefit from technology developed in motorsport’s highest echelon. Note, this isn’t the first time that Renault has used one of its less sporty models to display its F1 expertise. At the 1994 Paris Auto Show, the automaker presented its Espace F1, an MPV concept whose body was built entirely out of carbon fiber.